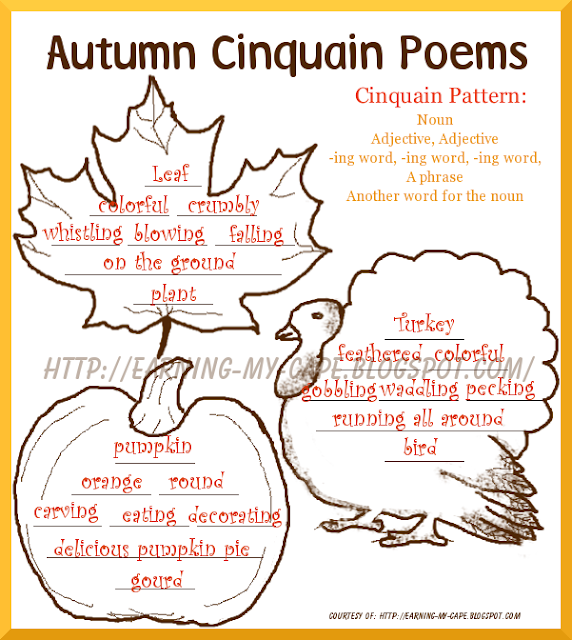 A few days ago, as I was helping my daughter with one of her homeschool lessons, I got the idea to put together a little poetry lesson/activity for the kids. Given the fact that it was a math lesson... place values, more specifically, that I was helping her with, I have no idea how the thought of poetry got into my brain! At any rate, it did, and here we are. 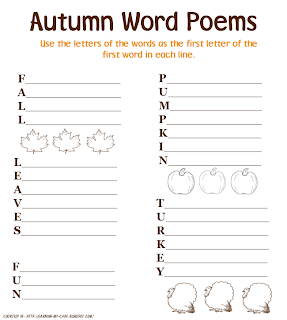 I put together a few poetry printables with an Autumn theme. 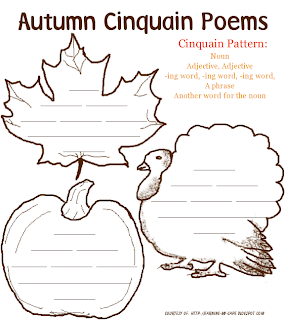 I loved doing Cinquain poems when I was a kid. One of the things I like about them as an adult, is that they are a good way to reinforce or introduce parts of speech. 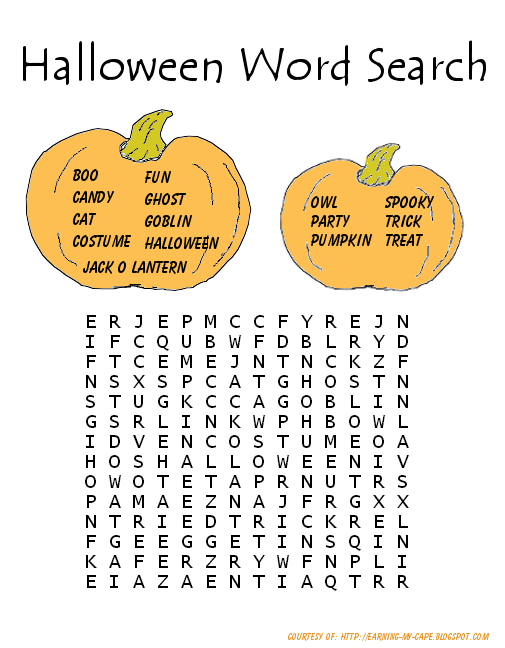 I made this one, and a couple others as printables, to share with you! Another favorite of mine, is the Word Poems. You know the ones I am talking about... where you use the letters in the word as the first letter of each line. 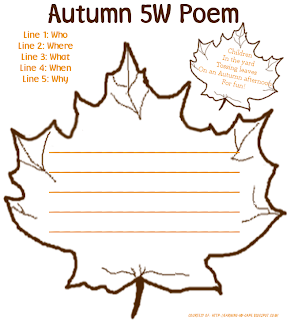 The other poetry worksheet I am including is a 5W Poem worksheet. 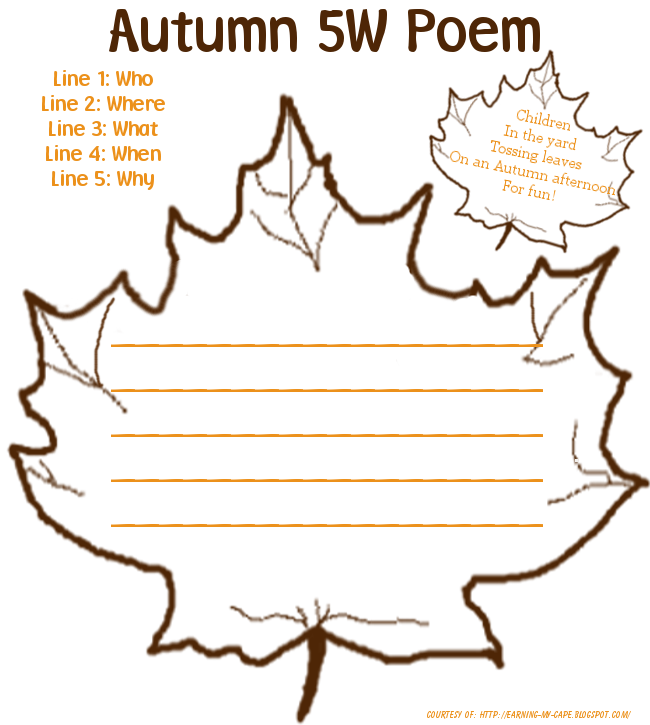 You simply use the 5W questions as a format to your poem- Who, Where, What, When, & Why. 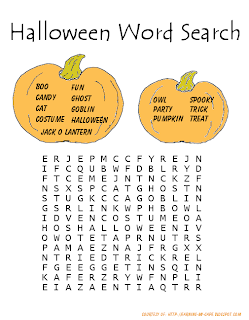 I am also including a little Halloween treat for you! 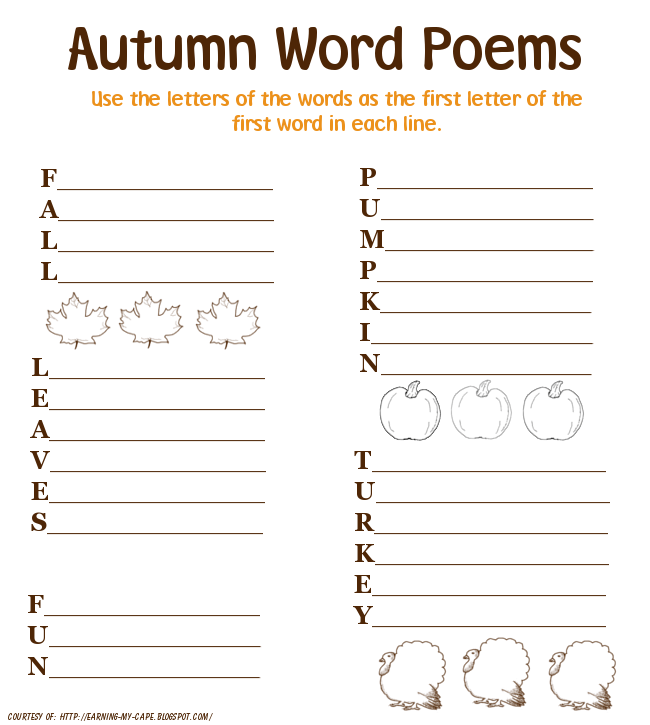 I'd love for you to see some of the poems that you and your kids come up with! Please feel free to share them on my Facebook Page! What great printables. 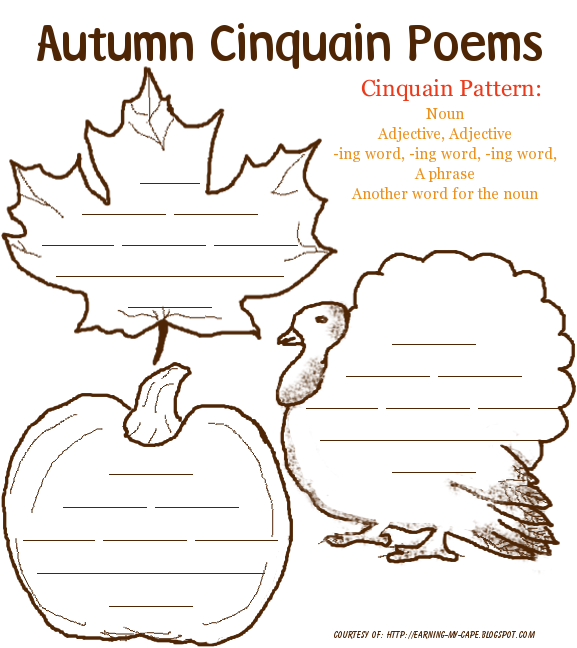 I really enjoyed writing poems when I was younger too! I would love for you to link this to my Mom's Library Link-Up.